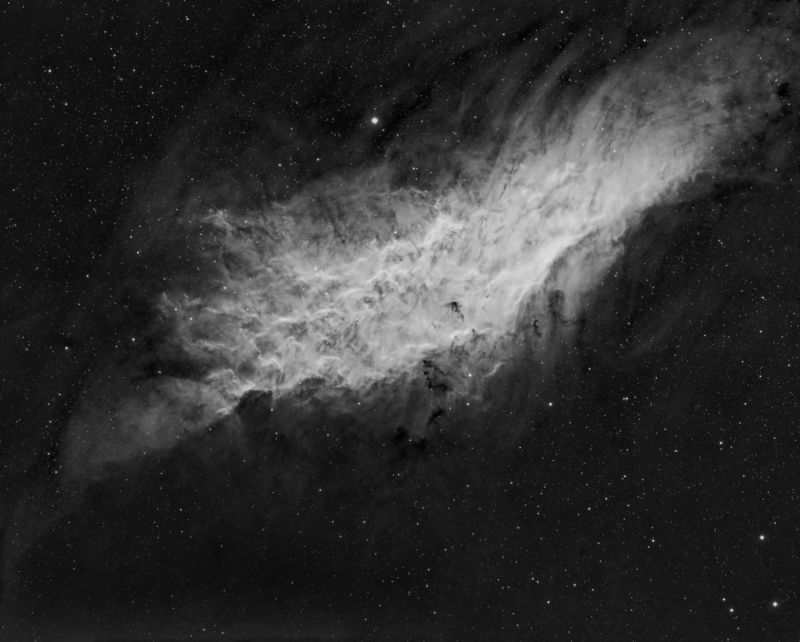 The California Nebula (NGC 1499) is an emission nebula located in the constellation Perseus. It is so named because it appears to resemble the outline of the US State of California on long exposure photographs. It lies at about 1,000 light years from Earth. This is a 2x2 mosaic, 4 panes in total.